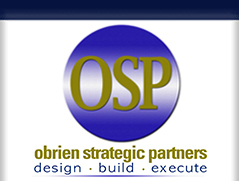 OSP has the talent, experience and expertise to deliver cost-effective messages that make the intended impact on the targeted audience. OSP owns and understands how to maximize results from the latest digital creation tools, such as Sony High Definition Cameras and Apple High Definition Edit Suites. But effective communications is not just about the latest technology: it's also about listening, learning and having the creative talent to convey a message in a captivating manner.